Rhodophyllis membranacea, copyright Gary W. Saunders. The Gigartinales is a diverse group of red algae, in which the auxiliary cells of the carpogonium transformed from ordinary vegetative cells or contained in special accessory systems. Characters (from Womersley 1994): Thallus macroscopic, crustose or erect and frondose to much branched, rarely minute and parasitic; branches terete to compressed or flat, usually not calcified, cartilaginous to mucilaginous. Structure uniaxial or multiaxial, loosely filamentous to pseudo-parenchymatous. Cells varying in shape, uni- to multinucleate; rhodoplasts discoid, numerous per cell, without pyrenoids; pit-plugs without cap layers. Growth of branches and filaments apical. Reproduction: Sexual thalli monoecious or dioecious; procarpic or non-procarpic. Carpogonial branches usually situated on inner cortical cells, 3 to several cells long, straight or curved, inwardly or outwardly projecting, with the supporting cell mono- or polycarpogonial, with one or more connecting filaments from the fertilized carpogonium or other cells after fusion. Auxiliary cells in special accessory systems or branches or transformed from ordinary vegetative cells. Carposporophytes within the cortex, in protuberant cystocarps, or in surface nemathecia, with or without a filamentous enveloping tissue or pericarp. Spermatangia cut off from surface cortical cells. Tetrasporophytes crustose or erect, tetrasporangia derived from cortical cells or within nemathecia, usually terminal but intercalary in a few taxa, cruciately, zonately or irregularly divided. Life history usually triphasic, with isomorphic or heteromorphic gametophytes and tetrasporophytes. [BG16] Boo, G. H., L. Le Gall, K. A. Miller, D. W. Freshwater, T. Wernberg, R. Terada, K. J. Yoon & S. M. Boo. 2016. A novel phylogeny of the Gelidiales (Rhodophyta) based on five genes including the nuclear CesA, with descriptions of Orthogonocladia gen. nov. and Orthogonacladiaceae fam. 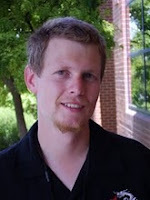 nov. Molecular Phylogenetics and Evolution 101: 359–372. [GW97] Gómez, I., G. Weykam, H. Klöser & C. Wiencke. 1997. Photosynthetic light requirements, metabolic carbon balance and zonation of sublittoral macroalgae from King George Island (Antarctica). Marine Ecology—Progress Series 148: 281–293. [K98] Kaehler, S. 1998. The non-coralline epilithic encrusting algae of Hong Kong II: Additions and identification. Asian Marine Biology 15: 1–17. [L49] Levring, T. 1949. 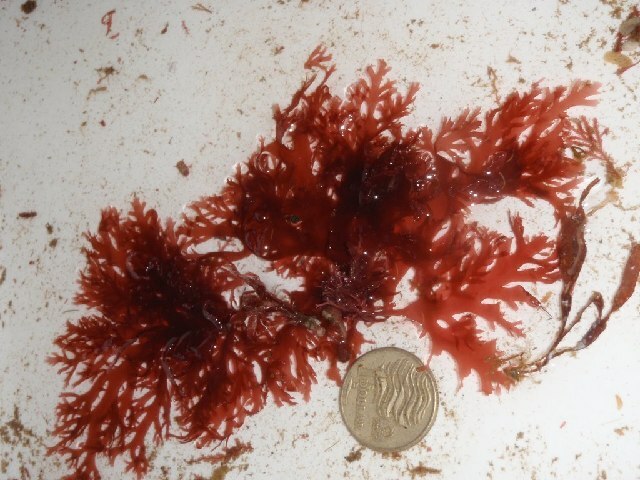 Six new marine algae from New Zealand. Transactions and Proceedings of the Royal Society of New Zealand 77 (3): 394–397. [N10] Norris, J. N. 2010. Marine algae of the northern Gulf of California: Chlorophyta and Phaeophyceae. Smithsonian Contributions to Botany 94: 1–276. [RS99] Rossman, A. Y., G. J. Samuels, C. T. Rogerson & R. Lowen. 1999. Genera of Bionectriaceae, Hypocreaceae and Nectriaceae (Hypocreales, Ascomycetes). Studies in Mycology 42: 1–248. [SK02] Saunders, G. W., & G. T. Kraft. 2002. Two new Australian species of Predaea (Nemastomataceae, Rhodophyta) with taxonomic recommendations for an expanded Nemastomatales and expanded Halymeniales. Journal of Phycology 38: 1245–1260.